Former Delta State Governor, James Ibori who was recently freed in the United Kingdom after serving jail term has arrived the country. He arrived Abuja on Saturday morning on British Airways flight and is heading to his hometown, Oghara. 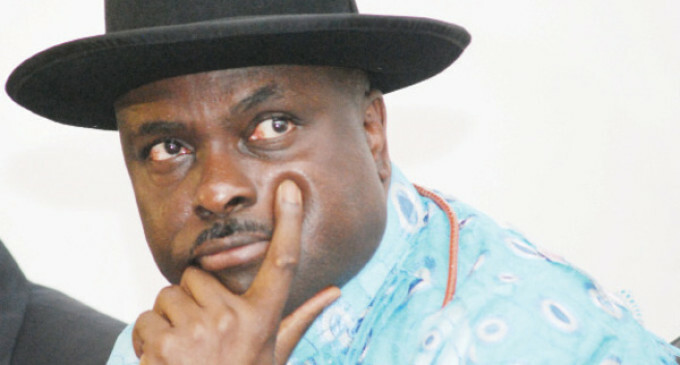 James Ibori had, on Friday, appeared before a Southwark Crown court in London for his asset forfeiture hearing. He regained his freedom in December 2016 after spending four-and-a-half years in a United Kingdom prison for money laundering. The British Government had accused him of stealing about $250m from the Delta State Government part of which was used in buying six houses and luxury vehicles in the UK, the United States and South Africa.